May 2018 | It's my life. Beauty : Just the Bare Essentials from Althea ! Ever since I discovered Althea, it has always been my default shopping platform to get my Korean beauty essentials items. My experience shopping there has proven that prices on their site is indeed very competitive and can sometimes be cheaper than shopping in Korea itself. As Althea deals with beauty products everyday, it’s no surprise that they have explored into making beauty products themselves. The first of product ever released by Althea was the Petal Velvet Beauty Powder. Now, the gossip is out and Althea have actually released their first range of beauty, skincare products which is known as Bare Essential. 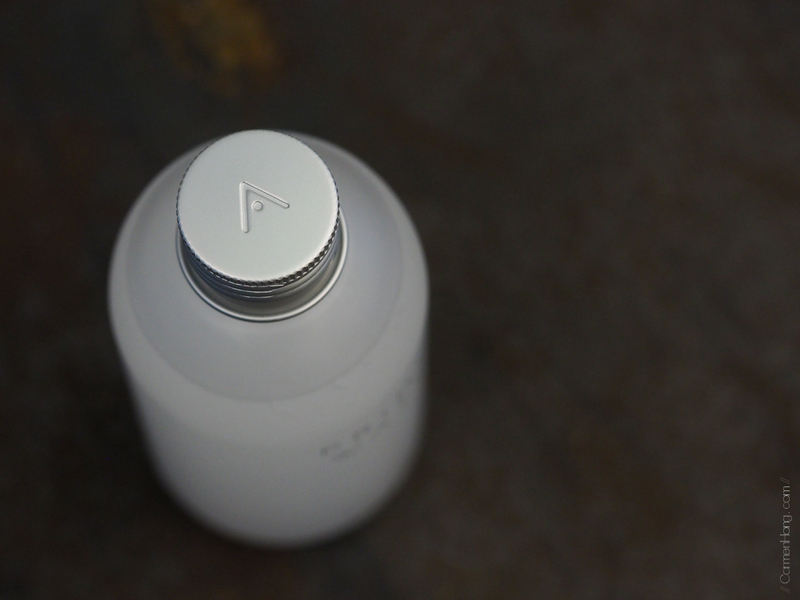 With so many different beauty products in the market these days, Althea aims to simplify the whole process by introducing just three products. The Bare Essential range features three products that can be used for any skin type: a Contour Cleanser, a Primer Water and a Fixer Cream. 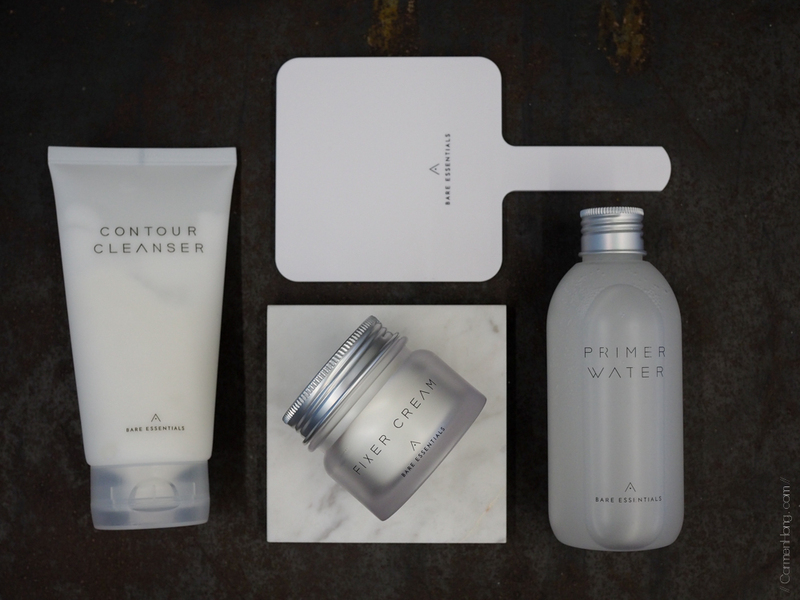 With just these three products, it’ll be able to provide the skin with all the necessities it needs without needing any other additional products. 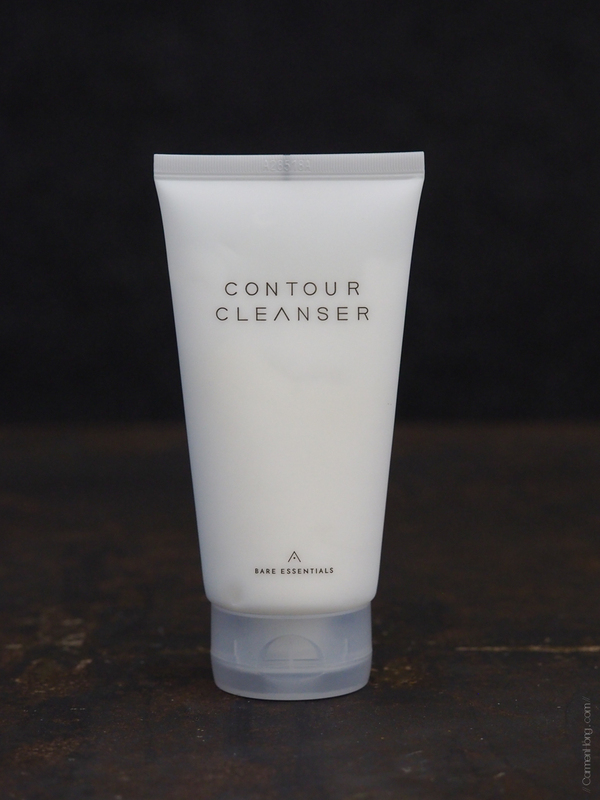 The first step of every beauty regime would the cleansing step and this Contouring Cleanser is made with micro capsules that gently melt into the skin, gently exfoliating away any dead skin cells and impurities from the skin. 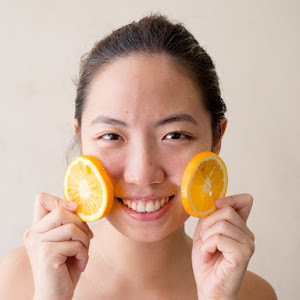 I was pleasantly surprised and honestly love this feature the most because the microbeads I have came to know are those that I heard will clog up pores. 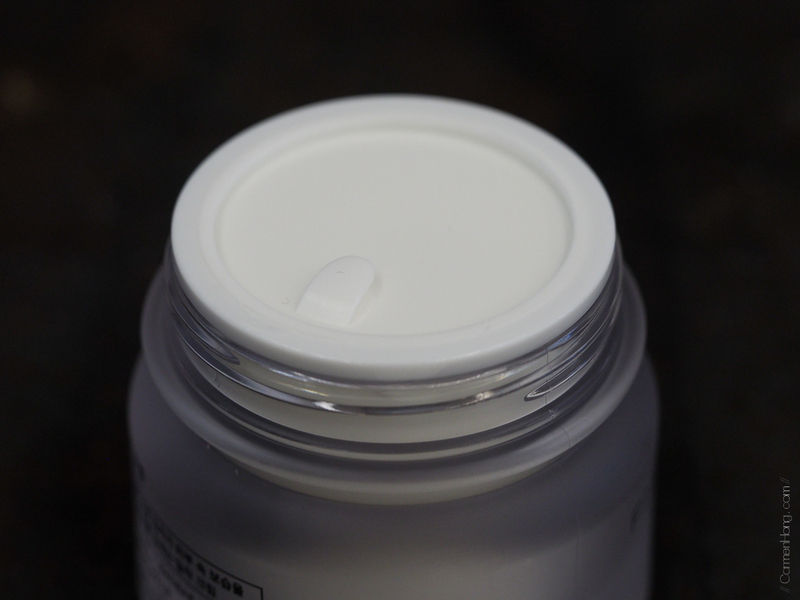 However, Althea have managed to come out with these micro capsules which actually melts away as you rub it along. 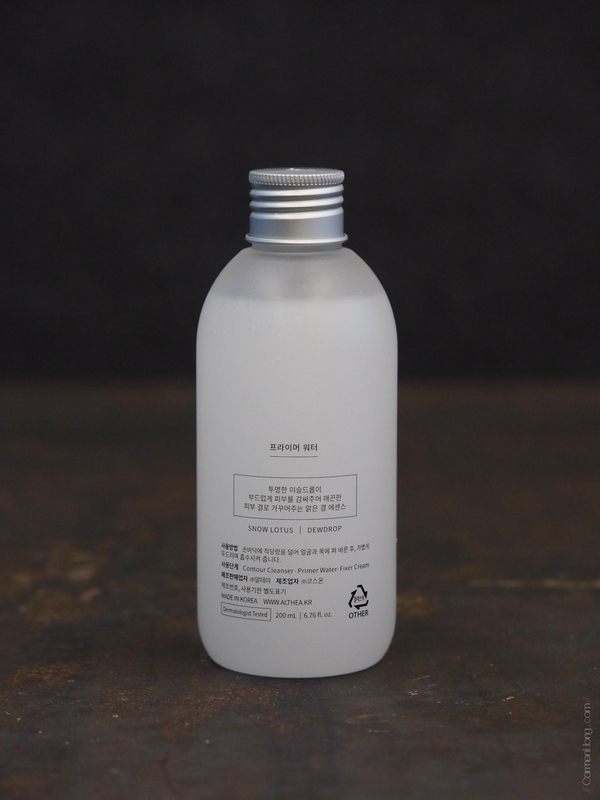 It’s infused with ice plant and lemon myrtle extracts, which ensures that the skin is clean but also strengthens and refreshes for a healthy complexion. It also helps to promote blood circulation, effectively reducing swelling for a defined, slim face shape. It’s pretty easy to use this cleanser; damp your skin, lather it on – and massage it in circular motion, then rinse it off with water. This product is a 2-in-1 wonder where it is both a hydrating toner and primer in a single bottle. 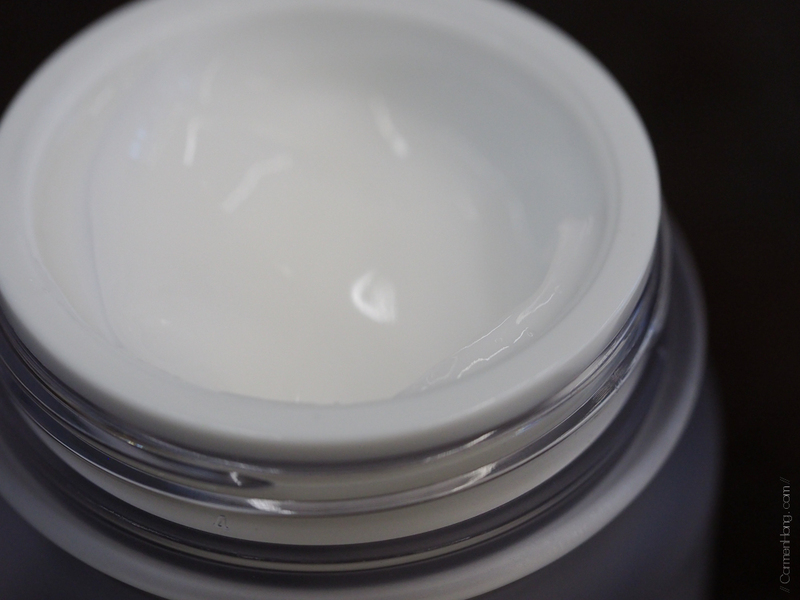 The product is made with snow lotus extract and contains patented 'dewdrop' technology that allows hydration to penetrate within the layers of the skin. 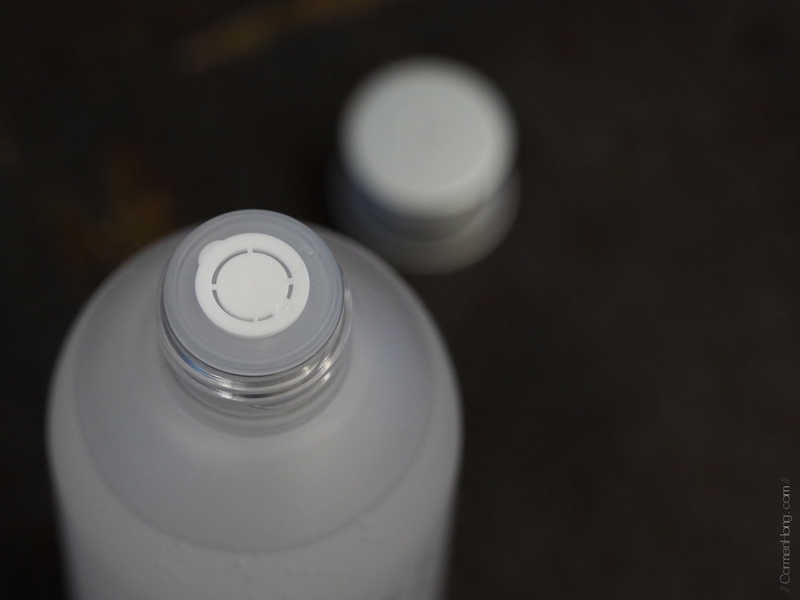 With the application of Primer Water , the skin is moisturised immediately and putting a second layer will give it even more moisture. 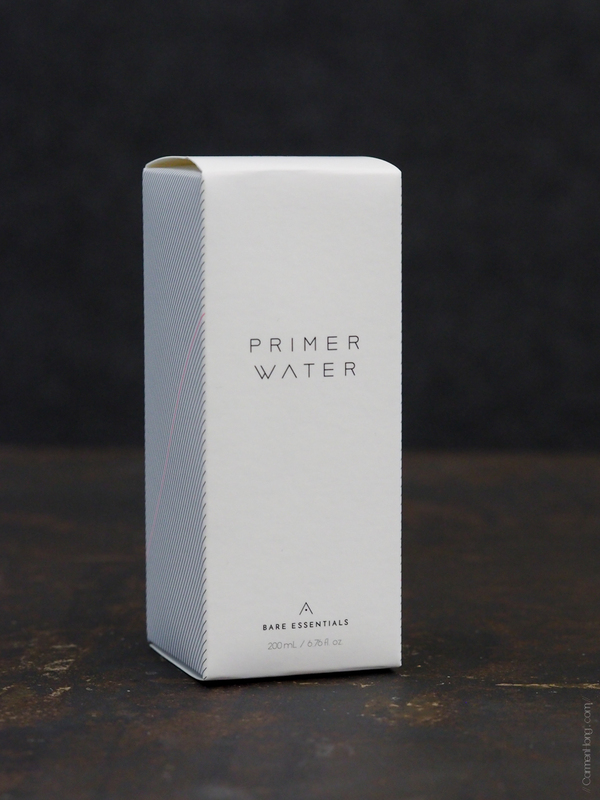 What I loved about the Primer Water is how lightweight it really is. My preference for beauty products are those that are easily absorbed by the skin and won’t leave a sticky trace behind. Similarly, the Primer Water has these properties. 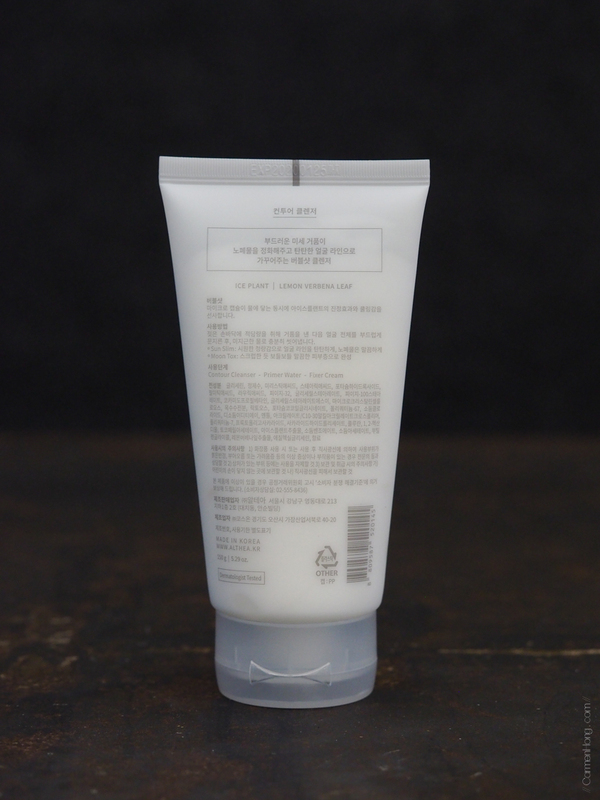 The application for this product is even simpler, you just need to pour a small amount out and apply it evenly over the face. It carries a stronger than usual floral scent, which may be off-putting for some. However, after some time you’ll get used to the scent. 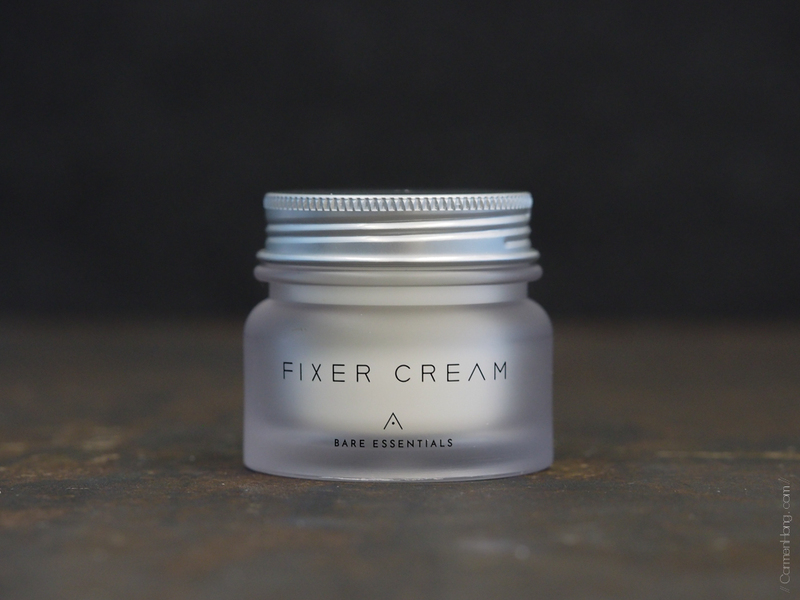 Last but not least, the final product of the Bare Essential range is the Fixer Cream. The cream is rich with antioxidants from wild green tea extracts, and it actually helps to promote collagen in the skin using baobab tree extract … hence, leaving your skin looking great and feeling bouncy to the touch. 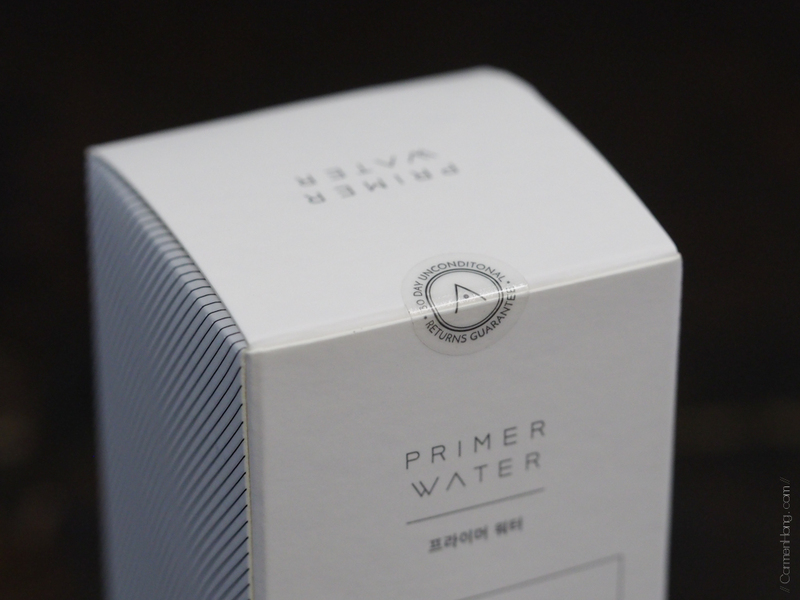 Similar to the Primer Water, the Fixer Cream also has a stronger than usual scent – I would say that the scent is a floral type, so fans of floral notes will come to love this. 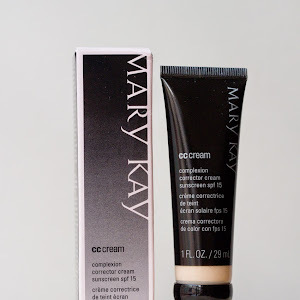 The cream has a lightweight formulation which is easily absorbed into the skin but however, when applied it actually left a balmy kind of finish. Seal in all that hydration with the Fixer Cream, a non-oily, quick absorbing moisturizer formulated with nourishing ingredients. 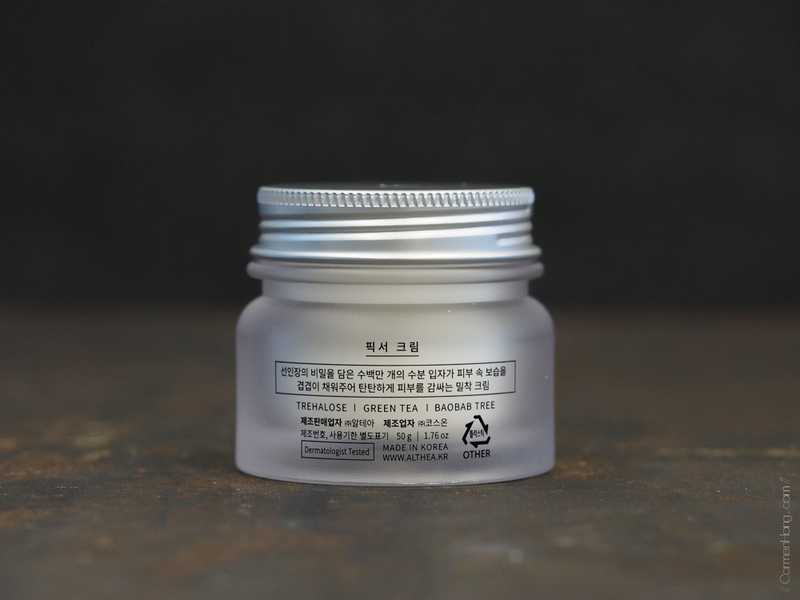 This little jar packs quite a punch in the moisture department thanks to trehalose (a powerful humectant that retains moisture on the skin), and provides the skin with hydration for up to 24 hours for a smooth and supple radiance. It's also rich in antioxidants from wild green tea extracts, and helps to promote collagen in the skin using baobab tree extract, leaving your skin looking great and feeling bouncy to the touch. Shop the whole range on Althea now, https://my.althea.kr/althea-exclusives! 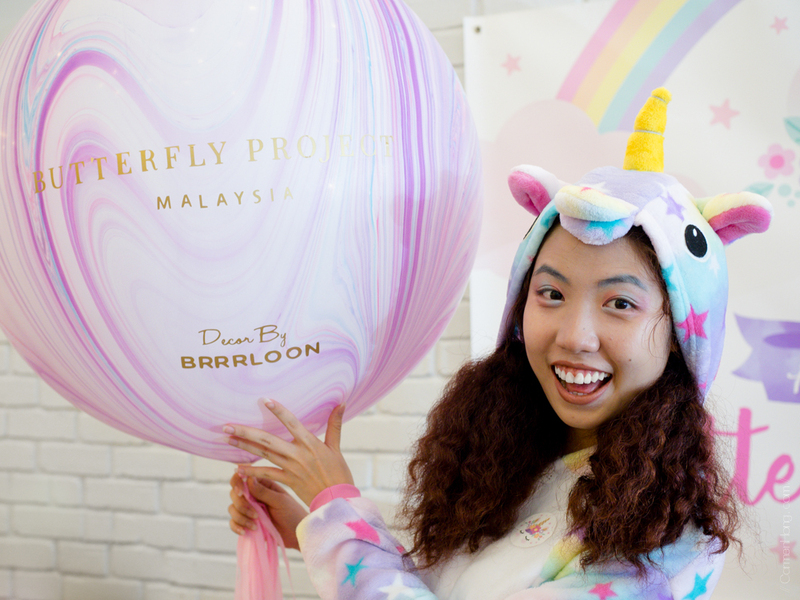 If you have reading my blog for the past year, you might have stumbled upon the post Unboxing The Butterfly Project Birthday Party Box where I shared about all the amazing goodies we received from the 4th The Butterfly Project Birthday Party Bash. In a blink of an eye, a year have passed and we just celebrated the 5th Anniversary of The Butterfly Project! 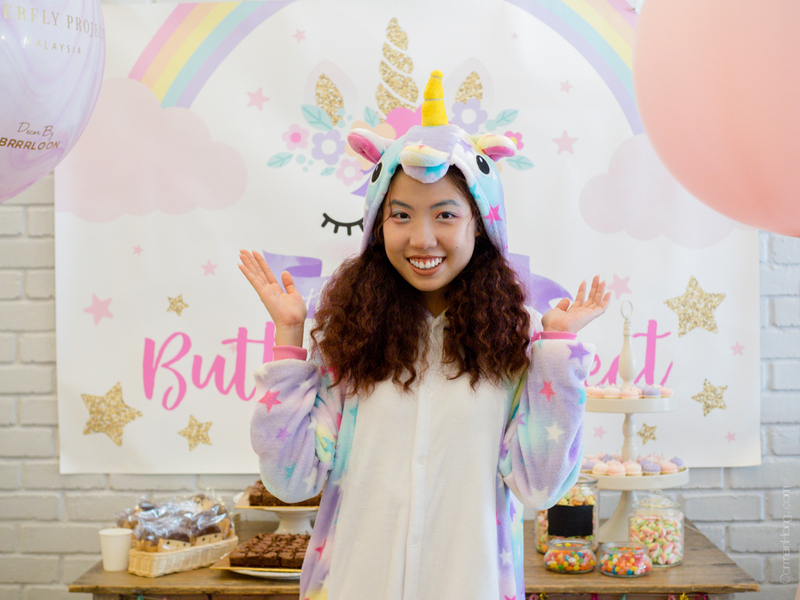 As always, Tammy Lim, whom we fondly known as Mama-san have outdone herself with the planning and the execution of this latest bash which had a unicorn theme! 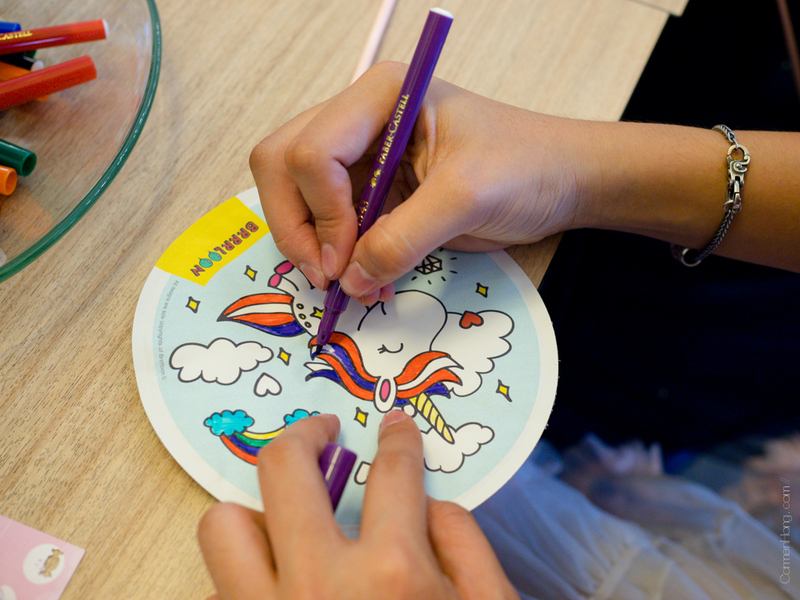 Unicorn itself are already mythical, absolutely magical creatures so coupled with a pastel theme …. you can imagine how it was. If you cannot, let me bring you through the party. The butterflies (how we are known as under the The Butterfly Project) came dressed in various unicorn themed outfits, adorned with the unicorn horns too! Even the make up done was done to the theme, with glitters and pastel hue. 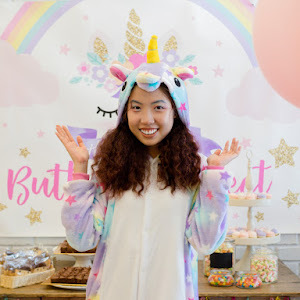 As for me, I went the easy route of getting a onesie ordered from Lazada because I have always wanted one but never had a reason to get it, but now there is! Kudos though to the rest of the butterflies who put so much effort into their dressing. Upon registering, we each received a goodie bag which included products from various sponsors such as NYX Cosmetics, Dear Beaute's Himawari Hair Care, Wanderlust Things, Koji Dolly Wink and belif Malaysia. More on that later one, let’s talk about the party first! The most important thing in this bag is a card which gives you access to the activities to complete at the event. 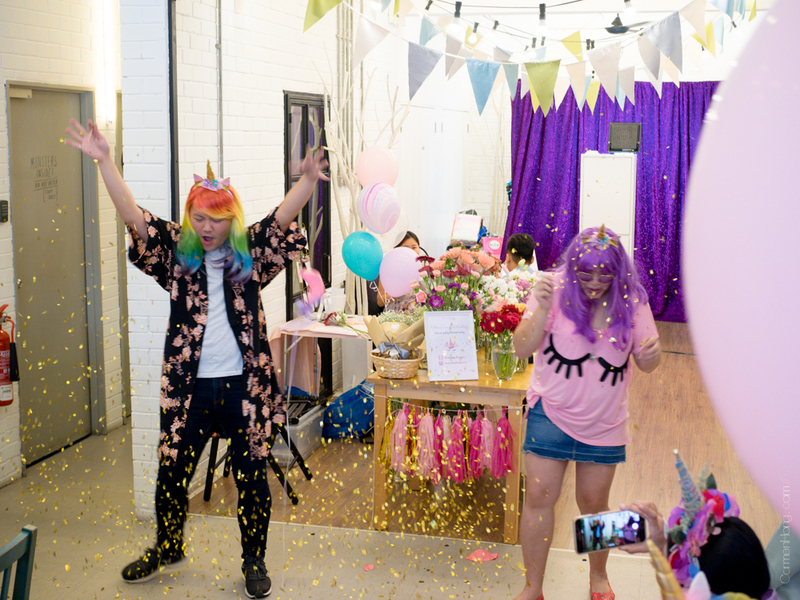 There are four stations where you can complete the various activities such as Photo Booth from GNG Studiobooth, customize a mini flower bouquet at Everyday Flowers' flower bar, colouring an auto-inflate balloon from Brrrloon, and lastly we get to adopt a unicorn from 50GRAM! Photobooths are now a staples at any event and parties which I feel is a one of the great way to immortalise the events. It gives guests a simple souvenirs to take home and remember the event/party by. This year, GNG Studiobooth have introduced a new service which Boomerang PhotoBox where a short video is taken and a Boomerang is then created! It’s innovative and definitely appeals to the crowd to be able to get a hi-quality videos too. 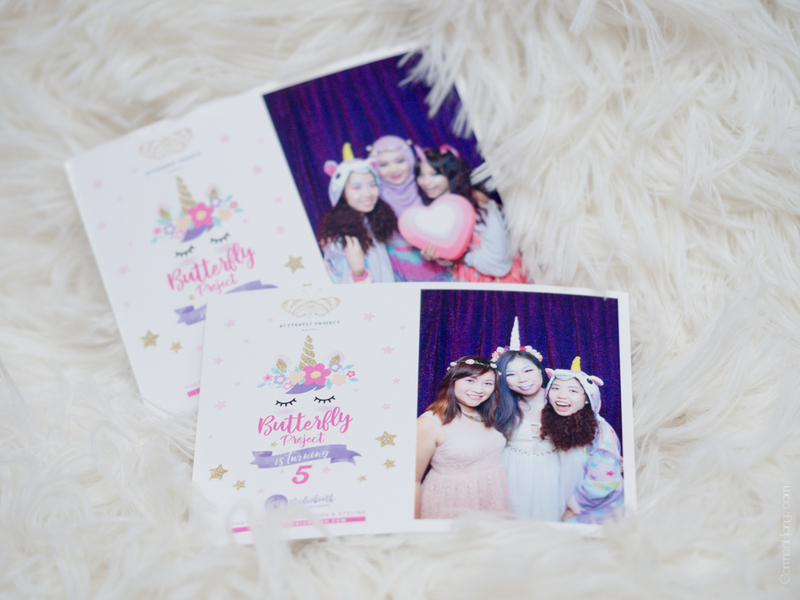 To match to the theme, a purple sparkling backdrop was used and on the photos, there was a customised border on the photos too! 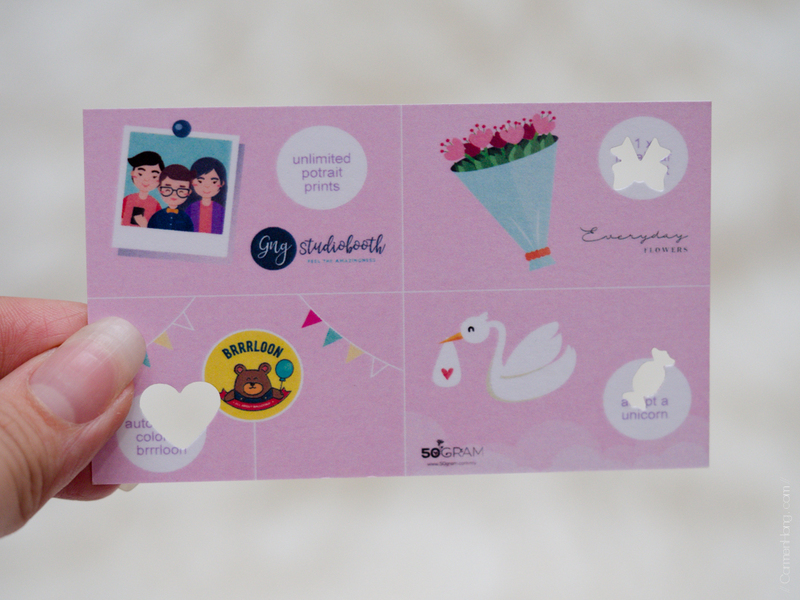 The customised border can be used to include any messages you’d like your guests to remember by. 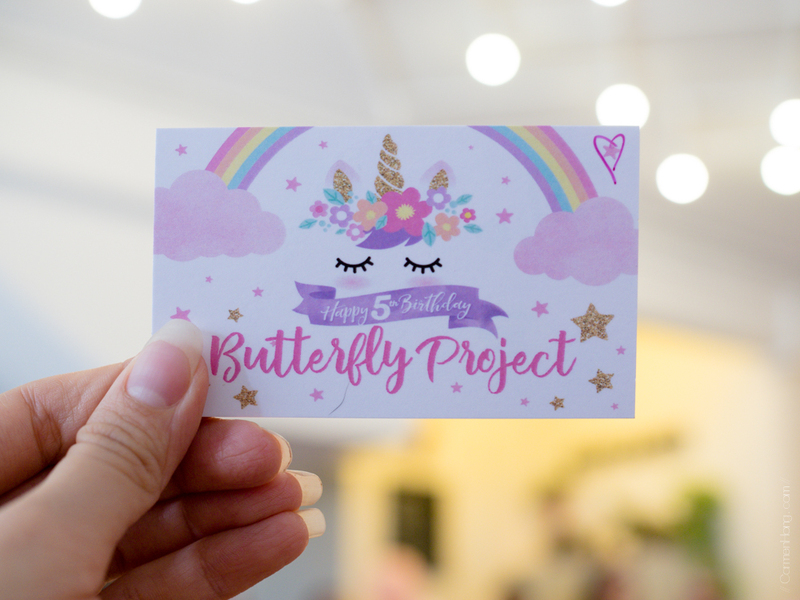 For the The Butterfly Project Birthday Party Bash, the team have used the pretty artwork of the party. One of the most interesting activity we got to do was actually the colouring of an inflatable balloon. We were each handed out a seemingly ordinary flat balloon on a stick but this balloon is one that can magically inflate itself. How it works is just by giving the balloon a hard hit on a tiny pouch, within the insides of the balloon. Just like that, the balloon will magically inflate! Of course, there is a science behind it which you can find out more by getting in touch with the team behind Brrrloon , or you may just find out how it works by stalking their site. As I mentioned, you can customised your balloon by colouring it in any colour that you fancy which makes this the perfect activity for both children and adults too! 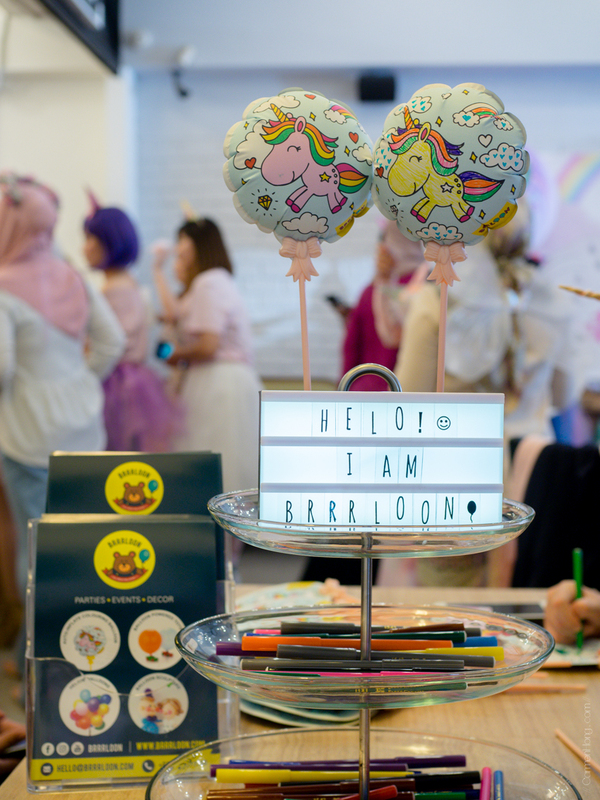 In addition to this, Brrrloon also specialises in balloon decorations, alongside with customised design printed balloons! In fact, any balloons you see in the pictures are actually specially made to order for this party. Making them the perfect balloon provider if you’re looking for one that does pretty decorations and is customisable to your specific theme. 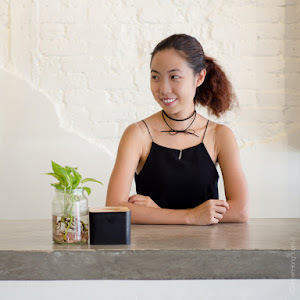 50Gram started out as a flower delivery company where they have gained traction over the years for creating beautiful bouquets, which comes with a complementary video messages. As the years go by, 50Gram have expanded their service offerings to include various add-on bundles. 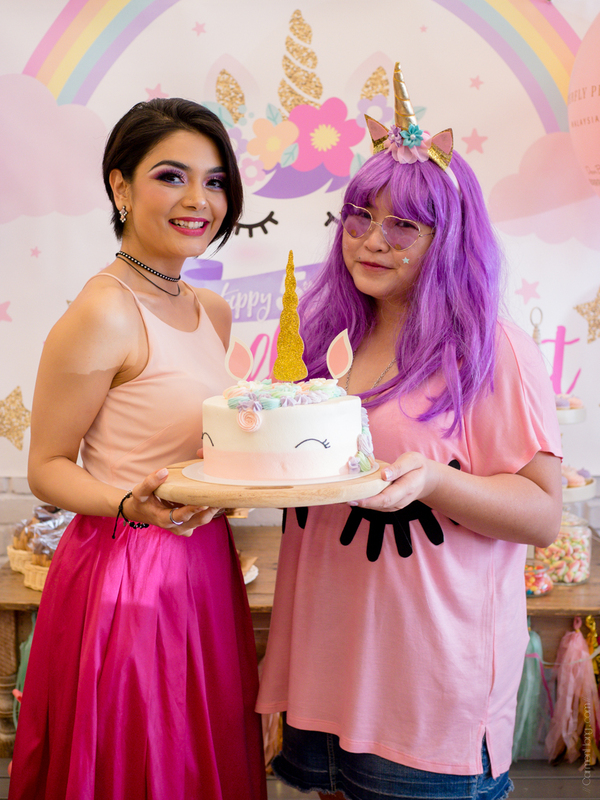 And as part of the activity at The Butterfly Project Birthday Party Bash, we got the chance to adopt our very own unicorn in the form of a very adorable unicorn mug. 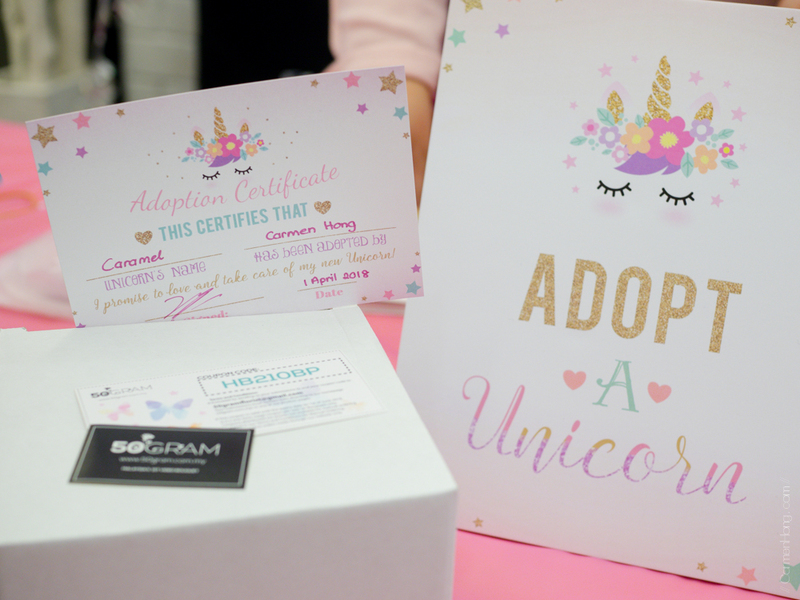 To formalise the whole adoption, we even filled up the adoption card where we got to name the unicorn too, along with the date of the adoption too for memories sake. :p In all honesty, the mug looks more suitable for decoration rather to be drank from. You can check out the other offerings available by 50Gram from their website, do find the details below. 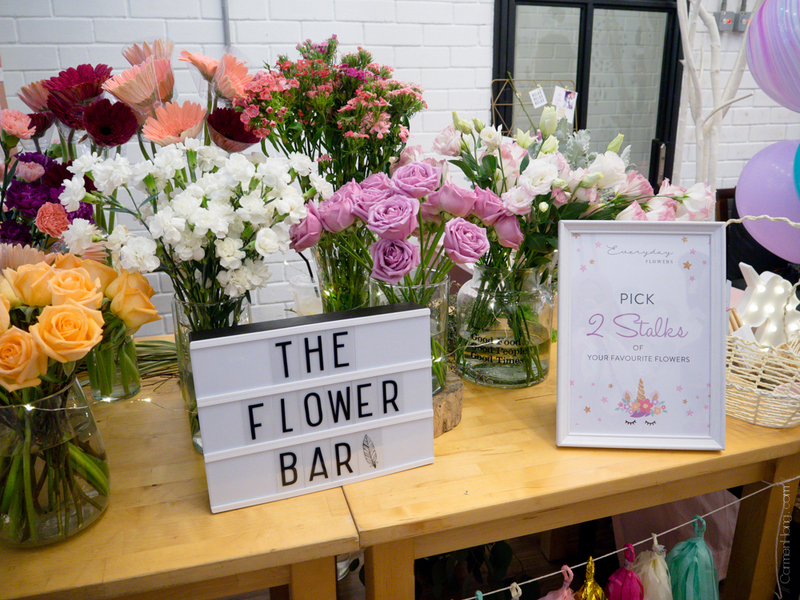 My favourite activity of the day would the flowers bouquet bar where you can choose from an assortment of flowers in vases to make into a simple bouquet. 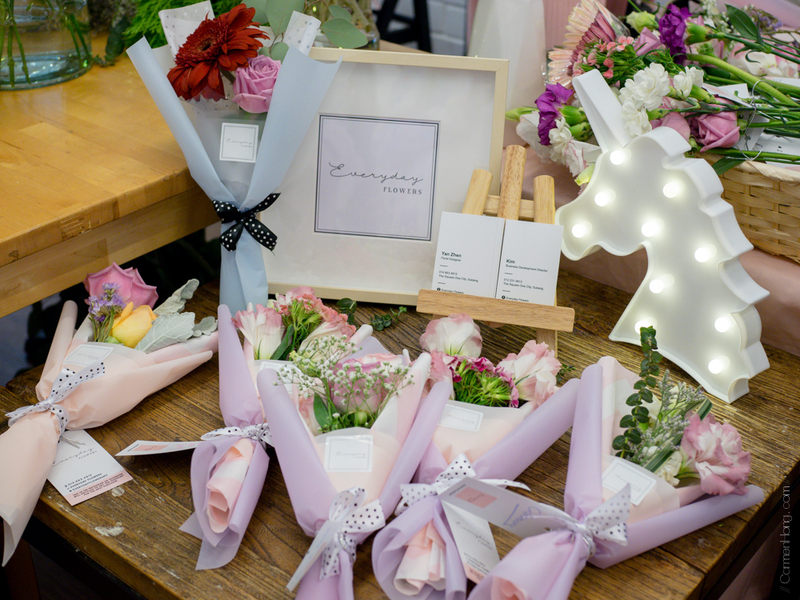 The bouquet is made by the team at Everyday Flower on the spot. 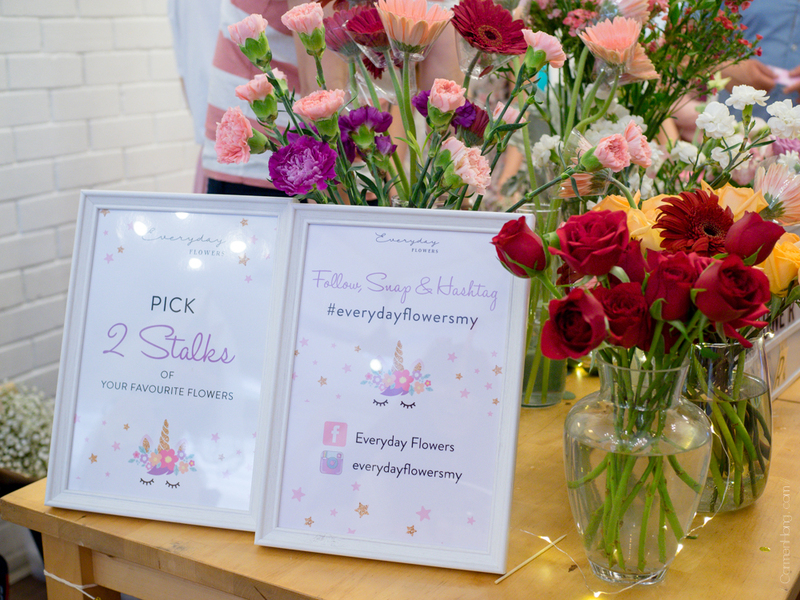 How it works is that you basically choose three of your favourite flowers, placed them into the basket provided, write your name down and hand them over to the team! 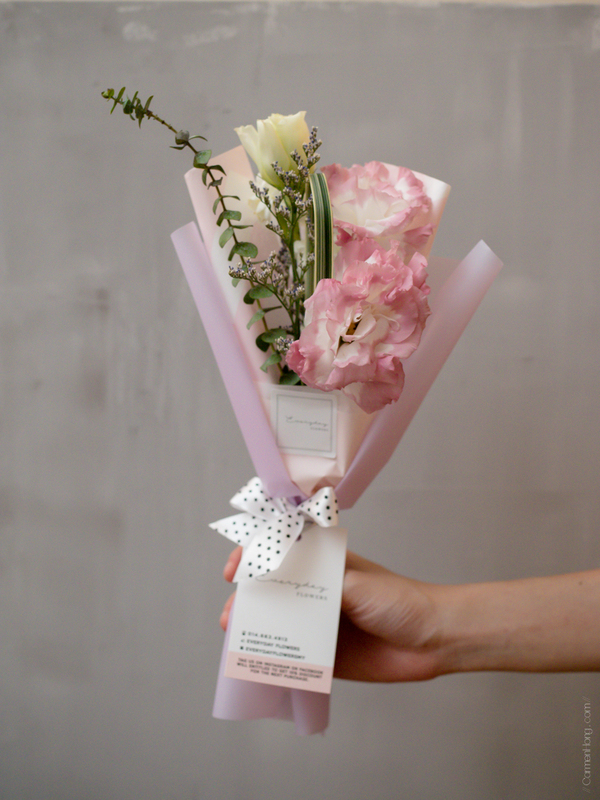 The bouquet will be arranged and be ready within 5-10 minutes, depending on the queue. To be honest, this is the first time I have seen a flowers bouquet bar at a party as an activity for the guests. Similar to the photobooth activity, this is a very interactive, engaging and not to mention, unique experience. I’d never met a lady who doesn’t like flowers, so for me this is a really nice touch to the event especially when you can choose your own flowers. Although we had two hours for the party, it felt like the time just flew by ever so quickly. Four activity booths, coupled with food and plenty opportunities to take pictures contributed to that, definitely! Just because the party ended, but the fun continues on with the goodie bag we received from the party which is filled with products from various sponsors. 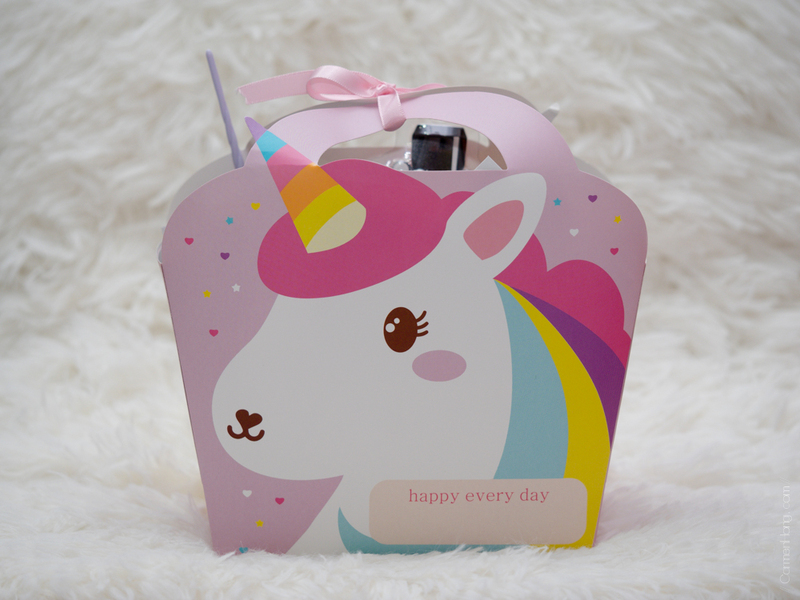 The bag that we received is specially ordered and came in the unicorn design –so cute! Here’s a breakdown on what the bag contains. Dear Beaute (Japan) Himawari Hair Care Samples which are available at selected Watsons and Sasa Malaysia stores nationwide. Their hair care products are oil based products which are catered for ladies with different hair woes. Their wide variety of range would help to address at least, if not all of your concerns for your hair. 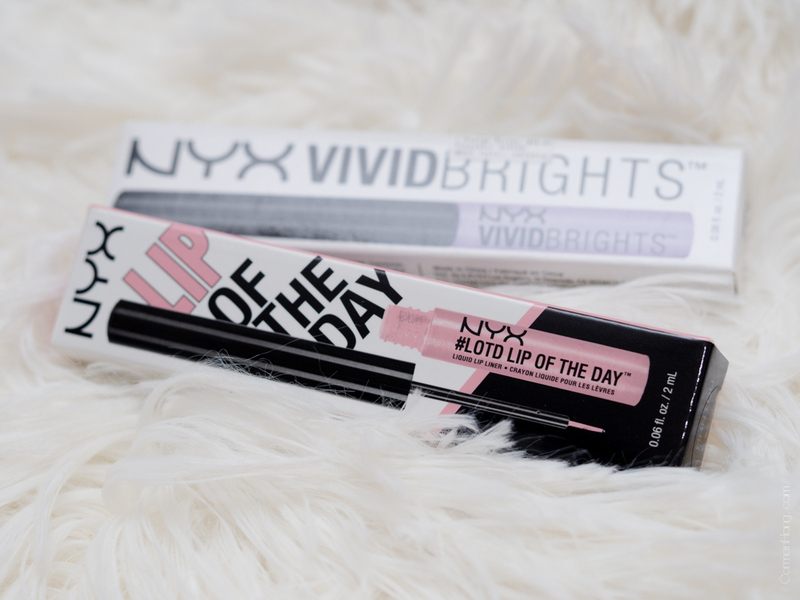 Next, there is the NYX Cosmetics Malaysia Vivid Brights & Lip of the Day, where the Vivid Brights product is actually an eyeliner of a bright purple shade. This shade would come in handy when you’re planning to attend another theme party. The Lip of the Day product on the other hand is actually a liquid liner with a metallic finish. What I loved about this product is the ability for it to be dual purpose, as it can also be worn as an eyeliner. For me, I’d always felt that falsies have been able to complete the eyes make up. I have always been a fan of Koji Dolly Wink's false eyelashes because of how subtle the effect really is without being too over dramatic. The designs of the lashes were distributed randomly, but I quite like the design on mind. There is a total of two sets in the package, which came along with the adhesive glue as well. There is no secret that my current favourite beauty product now is by belif. So you can imagine my joy when I realise that among the goodies is the belif Malaysia Best Sellers On-The-Go travel kit! This kit contains all of their best products but in travel size. This also allows you to try their products before committing to a full sized product. From experience, it’s important to use samples for a while before committing to a whole bottle. 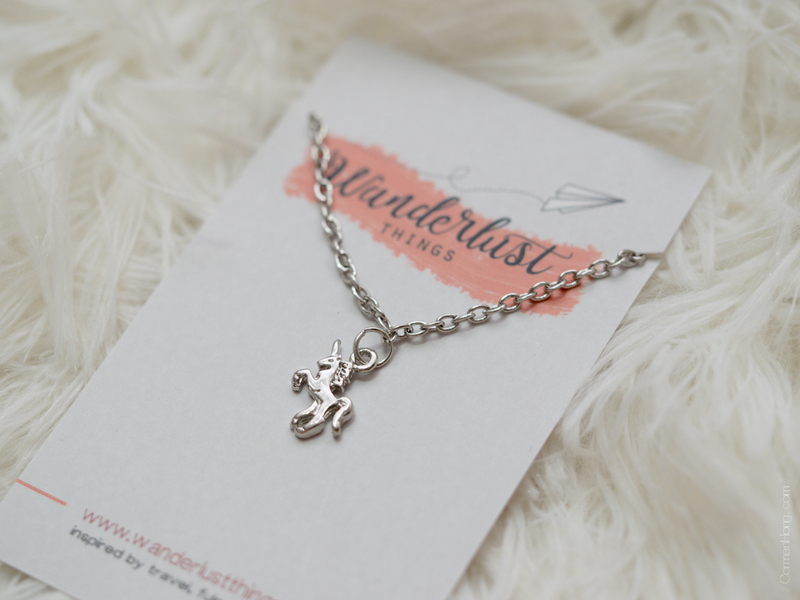 Last but not least is actually Unicorn Necklace from Wanderlust Things which are available from www.wanderlustthings.com, a curated website which the trendiest products you can find in the world wide web. Trust me when I say that because whatever you can think of or can’t think of, you’ll find it there. So do yourself a favour and check the site out! The last few years I have struggled in planning Mother’s Day celebration with my mother because she’s no ordinary mother. When your mom is a food blogger (one is that reasonably well-known in the industry), it gets trickier to decide on where to bring her to eat. 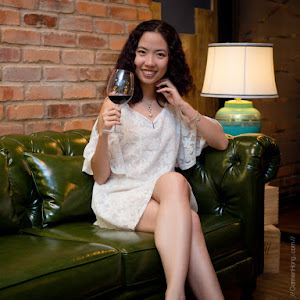 This year, I have had the opportunity to plan a secret surprise celebration with Ground Eatery, a cosy café located within Puchong. This was initiated by one of the founders of the café, Shirley who stumbled upon my blog … funnily enough, from my mother’s blog. I’m glad she did approach me because we had such an amazing time bonding time over good food. The sneaky plan we came up with was to visit the café with a pretence of attending an invited food review. Once we were there, everyone pretended like it’s a food review and midways, a surprise menu was presented! 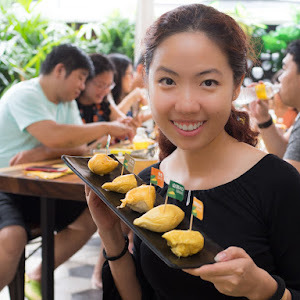 This surprise menu is actually their Mother’s Day Menu which is priced at RM78 per pax. 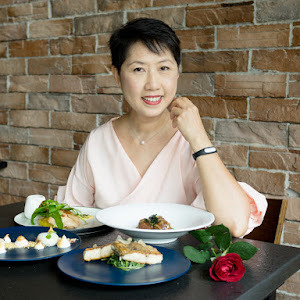 It’s actually three-course menu, consisting of appetizer, main course and dessert. The presentation and plating is absolutely amazing for the appetizer and it almost looked like as good as those I’d expect in a nice, fancy restaurant. 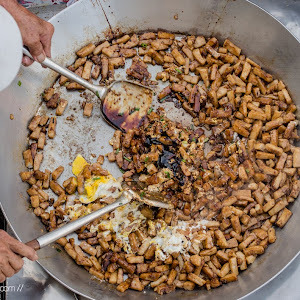 Taste-wise, it was meaty and you know that they don’t stinge on the meat. The bunga kantan Thai dressing, gave it a very unique, zesty feel. For the mains, there is an option between fish or chicken (choose one only!). 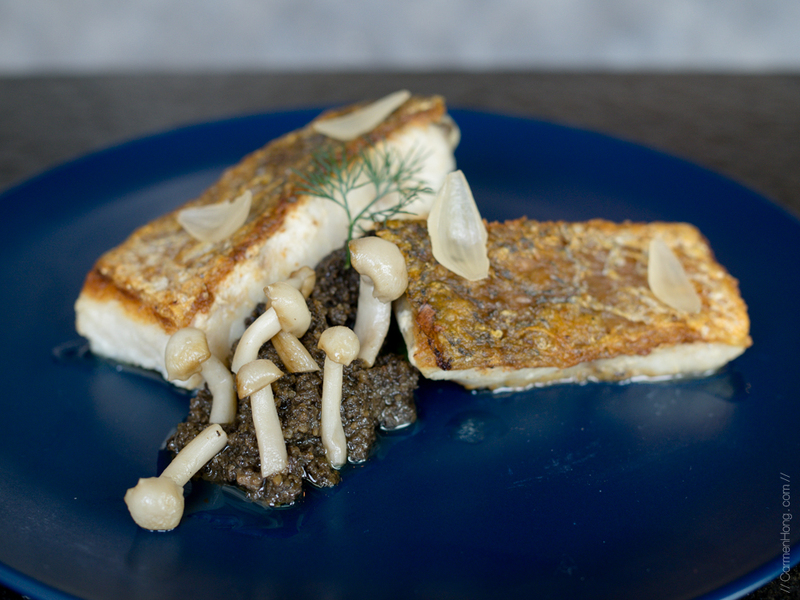 This is the sea bass fillet which is pan seared and then topped with mushroom truffle paste. I’m a sucker for anything truffle, so I’m already biased towards this. But I will be honest and say, this dish is indeed delicious. The fish is very fresh too! 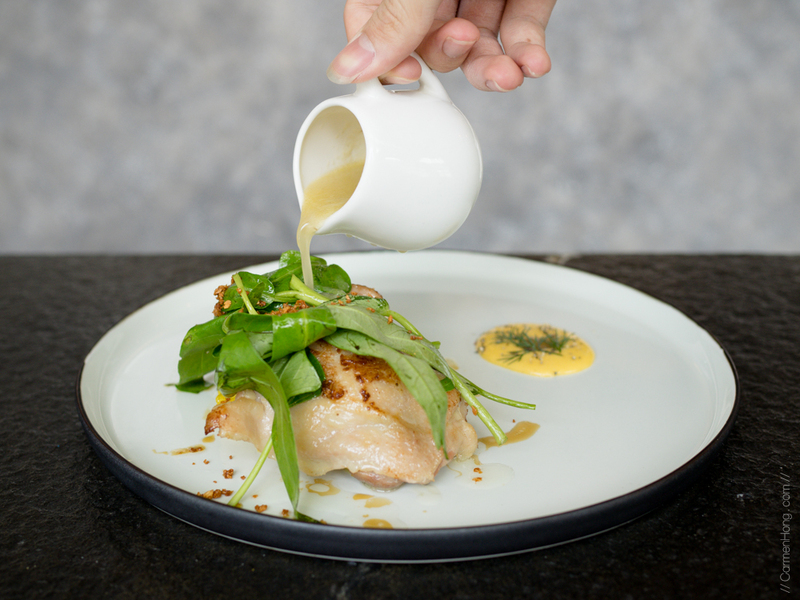 The chicken option is an oven roasted chicken thigh, with an optional topping of ginger broth and served with spiced coconut rice and the local’s favourite of Sauteed Kangkung Glory. 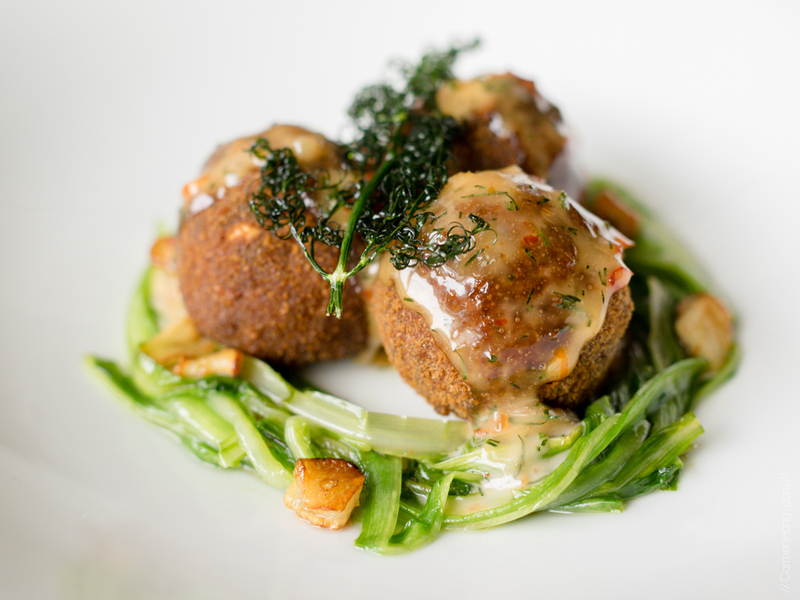 This dish is influenced heavily by our Asian cuisine, given all the combination of local ingredients used. If you prefer Asian inspired dishes, you’ll like this but I have to admit that I actually prefer the fish. 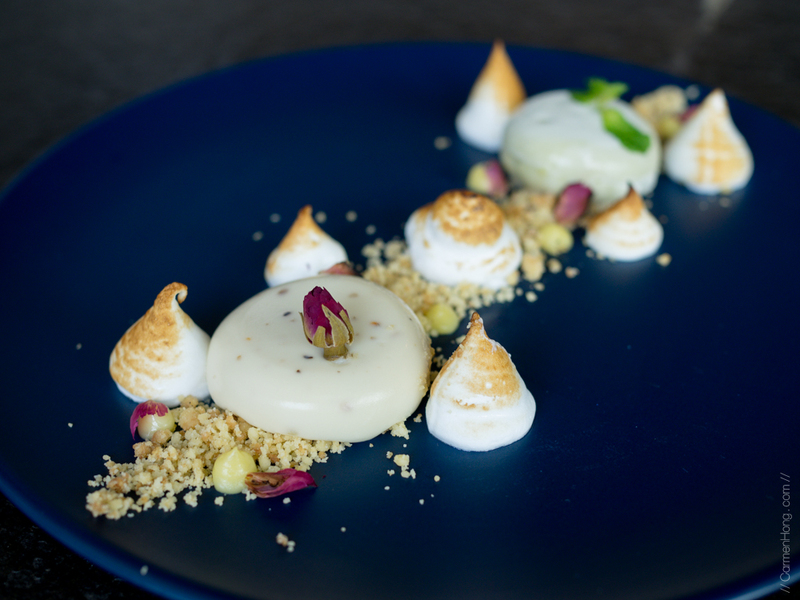 As always the perfect way to finish a delicious meal is with desserts and we were presented with a beautifully plated dish of avocado mousse and lychee rose yogurt mousse filled with buttered crumbs and torched meringues. I like how these were not too sweet and had the balance of being sinfully good, yet not overwhelming. Needless to say, my mother was pleasantly surprised by the whole plan and we managed to bond over yummy delicious food, in a cosy café ambiance. My favourite seat in Ground Eatery is right by the huge window and underneath their signature tree structure. I was there in the afternoon but I can imagine what a lovely mood setting it would be at night, with the lights dimmed. If you’re interested to bring your mothers to celebrate here, you can hop on over to Ground Eatery this coming weekend on 11th and 12th May 2018 to eat their Mother’s Day Menu special set. I have posted the details above, do remember to call them as soon as possible as reservations are on a first come first serve basis.